The title of Shawn Maxwell's new group and album, New Tomorrow, also aptly describes his musical vision. The innovative Chicago jazz saxophonist and his bandmates will celebrate the release of the new album by performing Oct. 2 at City Winery, 1200 W. Randolph St., Chicago. The show starts at noon and tickets are $10, available at City Winery's website, www.citywinery.com. I had the chance to talk to Maxwell about his latest project. Q - Great talking to you again. I understand that you wanted to make your new album more personal than your previous efforts. How did you go about doing that? Well, with every album I become more comfortable in my own skin. Meaning I feel more comfortable with how and what I want to say. I no longer worry about following rules or trying to fit into a certain box. 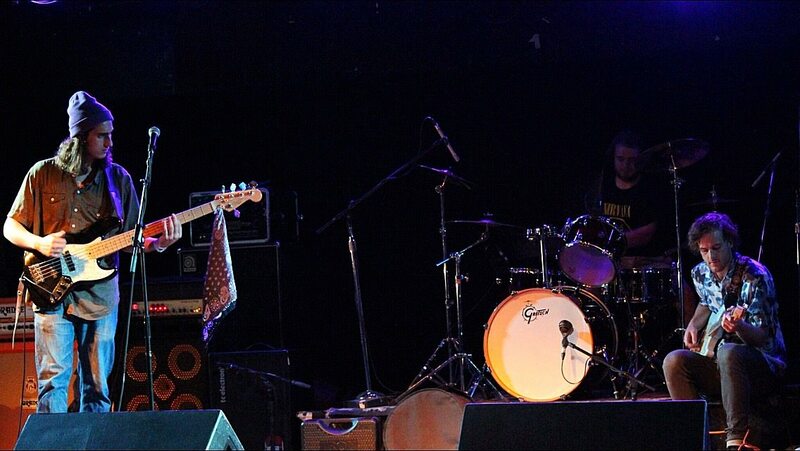 It also doesn’t hurt to have a band full of good friends that not only are great musicians, but are great guys as well. Q - You put together a new group for this album, adding Victor Garcia, Chad McCullough, Corey Wilkes to your working quartet. What do you think your new group brings to the table and what do you think they brought to this album? In my opinion, this group is a new direction for me and perhaps for jazz. We’re mixing several elements of different genres while still maintaining the spirit of jazz. There is a strong emphasis on composition as well as improvisation, which sets it apart from several other groups. As far as Victor, Chad & Corey…I was lucky enough to have three super bad trumpet players who all sound fantastic on this album. The really great thing is that each one of them has their very own distinct voice/sound. Victor doesn’t sound like Chad who doesn’t sound like Corey, and that’s awesome. Each trumpet brings their own touch to the tunes they play on which makes the band unique from track to track. Q - "New Tomorrow" is the name of your group and the new album. How would you say this project represents a new tomorrow for you? It is the first time I’ve worked with this instrumentation, the classic alto sax/trumpet quintet, but with a very big twist. The extra importance on composition and the mixture of genres has me on a new path. I really want to be different and have my own voice. As I said before, I feel the best I ever have and the most comfortable. I’m excited to take this group to the next level. Q - You have been recording music since 2004. How would you say your music has evolved since then? I’d say that now I’m more myself. Yes, I am a jazz musician/fan but I also listen to other genres of music. I grew up listening to all kinds of different music. Stuff like Guns N' Roses, Dr. Dre, Snoop Dog and a ton of classical music, just to name a few. The evolution of my music is the presence of all of these different groups and genres. I’d like to think that by mixing in all of these different influences that I am creating a very unique sound that is all my own. So that’s the biggest part of my music evolution…I sound more like me and not someone else. Q - What do you think your contribution has been to the Chicago music scene and to the Chicago jazz scene in particular? I’d like to think I’m pushing others to create and grow, as they have pushed me. There are several musicians who constantly challenge me, in a good way, to become better. Without them I wouldn’t be able to do a lot of what I do. I would hope that other musicians would say the same for me. Q - What drew you to jazz in the first place? Improvisation! When I was younger it both excited and scared me. It doesn’t get much deeper than having a jazz musician improvise. It’s sharing a story and a part of one’s self, a truly personal and magical thing. I don’t feel any other genre has the ability to be as personal as jazz. Q - I know that you became quite the performer as part of the Joliet Central High School band program, and that you went on to obtain a bachelor’s degree in music from Milliken University. What advice would you give to a high school student looking to break into the music business? First off, however much you’re practicing now, you need to do more. The level of players in the real world, and outside of your high school, is much higher than you can ever imagine. I think a lot of high school students get into the “big fish, little pond” mentality. The music business is a huge ocean and in order to succeed you need to put in the work to be able to hang. Second, listen. Go to concerts; buy CDs or MP3s, etc. You can learn so much by listening to music, especially genres outside of your wheel house. As I said before, other musicians help push and influence me in my direction. So if you’re unaware of the music around you, well you won’t grow. Last, start treating the music business like a business. It’s not too early to start networking. Meet people, be courteous and make a good impression. A good portion of gigs and opportunities come from relationships you create. Jazz is a beautiful art form but if no one knows who you are, they can’t hire you. I have about six other groups that are in the plans right now. I don’t want to share too much, because it’s going to take me a while to get them all going. My goal is to release an album with each of these different bands, while maintaining the few I have now, each year. In these different bands there will be collaborations with guys that I really look up to, as musicians and people. Sorry to sound cryptic, but you will know more on this soon. American musical legend Stanley “Buckwheat” Dural, Jr. - leader of the band Buckwheat Zydeco - died on Sept. 24 of lung cancer at Our Lady of Lourdes Regional Medical Center in Lafayette, Louisiana. The Grammy and Emmy winning artist was the preeminent ambassador of Louisiana zydeco music. Buckwheat played with everyone from Eric Clapton and U2 to Robert Plant and The Boston Pops. The band performed at the closing ceremonies of the 1996 Summer Olympics and performed for President Clinton twice, celebrating both of his inaugurations. Stanley “Buckwheat” Dural, Jr. was born in Lafayette, Louisiana, on November 14, 1947. He acquired his nickname because, with his braided hair, he looked like Buckwheat from "The Little Rascals." His father was an accomplished, non-professional traditional Creole accordion player, but young Buckwheat preferred listening to and playing R&B. He became proficient at the organ, and by the late 1950s was backing Joe Tex, Clarence “Gatemouth” Brown and many others. In 1971, he formed Buckwheat and The Hitchhikers, a 15-piece funk and soul band. They were a local sensation and found success with the single, “It’s Hard To Get,” recorded for a local Louisiana-based label. Never a traditional zydeco fan when growing up, Buckwheat nonetheless accepted an invitation in 1976 to join Clifton Chenier’s Red Hot Louisiana Band as organist. He quickly discovered the joy and power of zydeco music, and marveled at the effect the music had on the audience. Buckwheat’s relationship with the legendary Chenier led him to take up the accordion in 1978. After woodshedding for a year, he felt ready to start his own band under the name Buckwheat Zydeco, and began his recording career with the small Blues Unlimited label. By the mid-1980s there were more offers to perform than he could possibly accept. Recordings for Black Top and Rounder followed before Buckwheat befriended New York-based journalist Ted Fox, who championed Buckwheat to Chris Blackwell at Island Records in 1986. Buckwheat Zydeco signed a five-record deal and Fox became and remained his manager and frequent producer. The success of these records kept Buckwheat Zydeco on the road and in constant demand. In 1988, Eric Clapton invited the band to open his North American tour as well as his 12-night stand at London’s Royal Albert Hall. As even more doors opened, Buckwheat found himself sharing stages and/or recording with Keith Richards, Robert Plant, Willie Nelson, Mavis Staples, David Hidalgo, Dwight Yoakam, Paul Simon, Ry Cooder and many others, including indie music stalwarts Yo La Tengo on the soundtrack to the Bob Dylan bio-pic, "I’m Not There." During the 1990s and 2000s Buckwheat recorded for his own Tomorrow Recordings label and maintained an extensive touring schedule. Along with his remarkably talented band, he brought his music to fans all over the world. In 2009 he released the Grammy Award winning "Lay Your Burden Down" on Alligator Records. 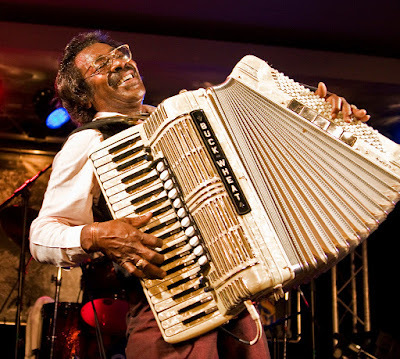 Since then, Buckwheat Zydeco continued to tour and share their music with fans around the world. Stanley “Buckwheat” Dural, Jr. is survived by his wife Bernite Dural and their daughter Tomorrow Lynn Dural; sons Sir Reginald M. Dural (who played rubboard and keyboards in his band) and Stanley Paul Dural III, daughters April Germain Dural, and Stacie Durham. For those tired of the cookie-cutter sound of many bands on the radio today, Chicago band Forgotten Tropics is a band proving to be memorable in its musical approach. 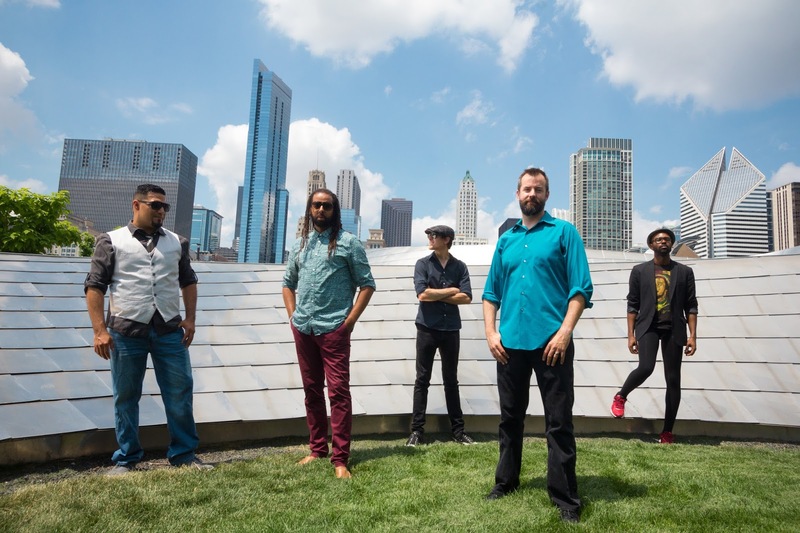 The band's blues-based alternative sound is attracting the attention of many people, including Chance the Rapper engineer Michael Kolar, who produced the band's debut album, "All There is All You Need." To celebrate the release of the album, Forgotten Tropics will perform Sept. 22 at Reggies, 2105 S. State St., Chicago. Flowtone and The Leafy Greens also are on the bill. The show starts at 8 p.m., and there is a $5 cover charge. I had the chance to talk to Forgotten Tropics frontman Zachary Roth about the album. Q - Great talking to you. Of course, you are releasing your debut album, "All There Is All You Need." In sitting down to make the album, what were your goals and do you think you accomplished them? Our goals were not clearly established at first. We tried to have each song be unique and figure out how to erase any redundancies. Eventually we were able to fine tune the songs we liked and they naturally sounded like a blues based alternative pedaled out rock band. Our songs are similar to Radiohead in structure but each song was written on guitar, so it has a strong Hendrix/ Frusciante style foundation. Q - You recorded the album at Soundscape Studios with Michael Kolar, who has worked with Chance The Rapper and other artists. How did you hook up with him and what do you think he brought to the project? I simply reached out to him and he was interested in working with us. Mike brought a much different perspective to the album because he is more involved with rap and hip/ hop - but his ears can hear it all so his advice and input was a big help. Also his engineering and audio work is top notch. Q - You have only been playing together for a year. How did the band get together in the first place? Is there a meaning behind the band's name? I went to Michigan State for a bit and had a band that broke up and I ended up in Chicago at DePaul. Luckily the drummer from my high school band, Steve Lobkovich, was going to UIC- so geographically, that wasn’t too much of a problem. I then met Christian Flanary in a Jazz Studies class at DePaul (taught by the acclaimed trumpeter, Bob Lark). Christian and I share many similar musical influences, and within a month, all three of us were living together and we converted our detached garage to a semi- soundproofed jam space. It got pretty loud and our song, "Breaching the Peace," is about our neighbor who’s lawyer claimed we were Breaching the Peace. We probably were. Whatever. Anyway, Forgotten Tropics is a meaningless word duo. Q - What do you think about Chicago's music scene and how do you think the band fits into it? The Chicago music scene is vibrant. Every night there’s shows all across the city at venues, clubs, DIY venues, and bars. Personally my favorite shows are DIY venues because most people who attend are artists themselves and the whole show is hosted by artists who usually display or perform their projects around the venue. There are a lot of guitar-based bands, but most of those bands’ sounds are based in punk, noise, and Twin Peaks style garage rock lineages, while we’re coming from a more futuristic blues and psychedelic foundation. Our short term goals are just to release this album and make every show better than the last. Our long term goals, within the next 3-6 months, are to expand the band to a six piece from a three piece, add graphics, lights, dancers, and Flaming Lips style stage antics at every show. Ideally, we’d like to become a large audiovisual project. We’ve begun writing again and this time, the sounds were going for are inspired by Lotus, Papadosio, Steve Reich, Tortoise and many more. It will be more dancey and psychedelic and whatnot. 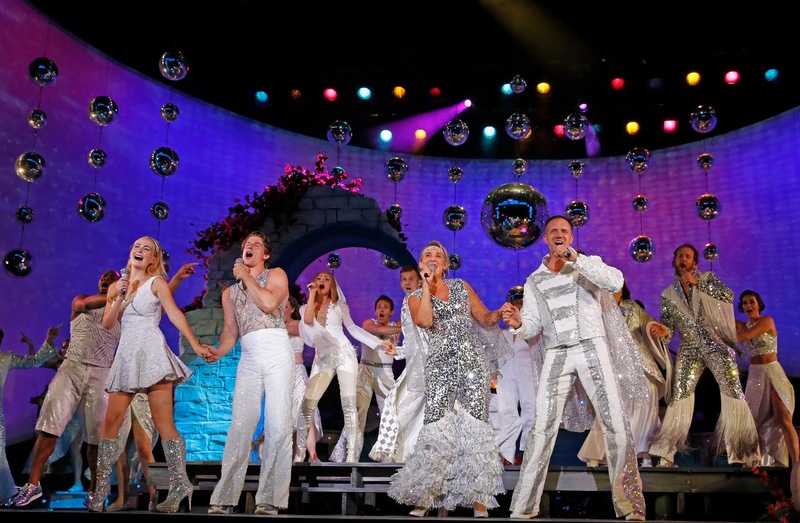 Paramount Theatre opens season with energetic "Mamma Mia!" Full disclosure - I am not a fan of ABBA's music by any means. 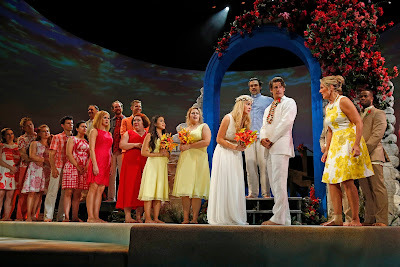 But the strong performances and overwhelming energy of Paramount Theatre's version of "Mamma Mia!" won me over. Performances of the musical continue through Oct. 30. For the uninitiated, "Mamma Mia!" - which features the music of ABBA - is the story of 20-year-old Sophie, who is planning her wedding. She finds her mom’s diary and reads about her love-filled summer 20 years before with three different men. Sophie is convinced one of them is her father, and she’s determined to find out who by inviting each of them to her wedding. Many of the cast members are making their Paramount debut, including Amy Montgomery, who turns in a stunning performance as Sophie's mother, Donna Sheridan. 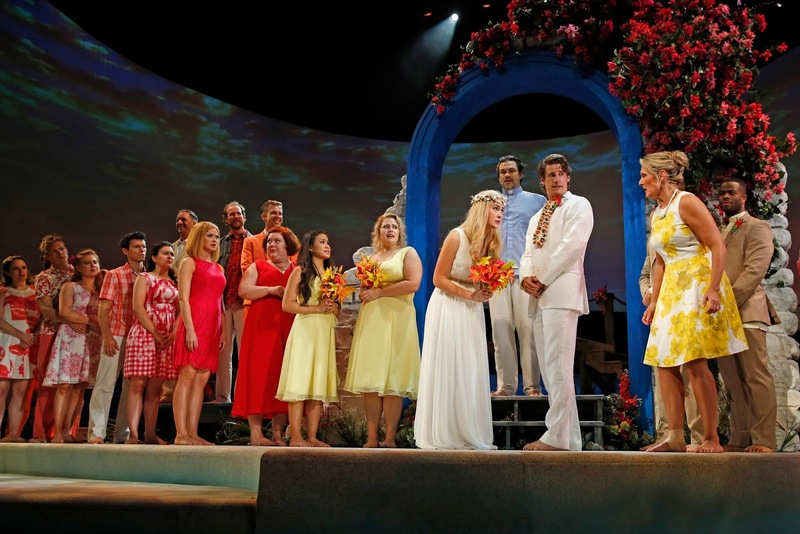 Not only does she have the vocal chops for the role, she also displayed a rich emotional deftness in such numbers as "The Winner Takes It All." Sara Sevigny, another newcomer to the Paramount stage, provides a welcome comic relief in her role as Rosie. That comedy is on full display in the number "Take a Chance on Me." Not to be forgotten is the show's sparkling choreography and stunning scenery, a trademark of any Paramount production. And by the end of the show, the exuberance on stage spilled over to the audience as audience members joyfully sang along to ABBA songs. With the Paramount season getting off to an impressive start, I eagerly look forward to the rest of the season, which includes Disney’s "The Little Mermaid," which runs from Nov. 23 to Jan. 8, 2017, "Sweeney Todd-The Demon Barber of Fleet Street," which will run from Feb. 8 to March 19, 2017, and "Jesus Christ Superstar," set to run from April 19 to May 28, 2017. Tickets are available by going to Paramount's website at www.paramountaurora.com. 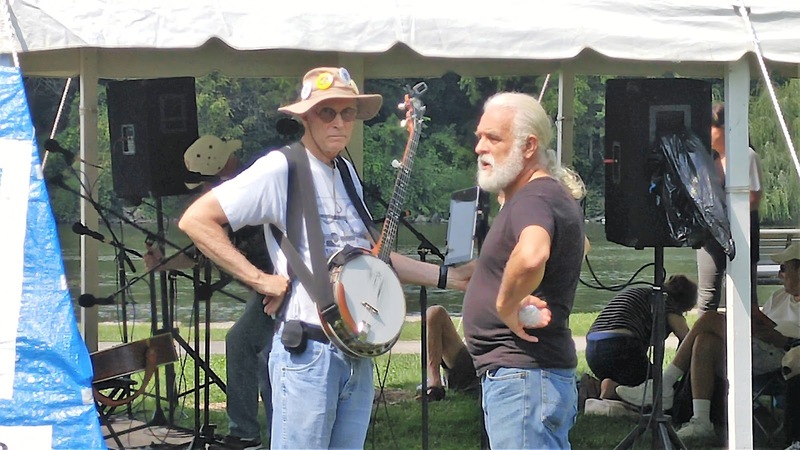 There was plenty of music, storytelling and dancing during the 40th annual Fox Valley Folk Music and Storytelling Festival on Sept. 5 at Island Park in Geneva. Red Tail Ring performed on Sept. 5 at the Fox Valley Music and Storytelling Festival at Island Park in Geneva. Donna Herula performed "Crying Won't Help You" with Rob Anderlik and Mike Church on Sept. 5 at the Fox Valley Music and Storytelling Festival at Island Park in Geneva. 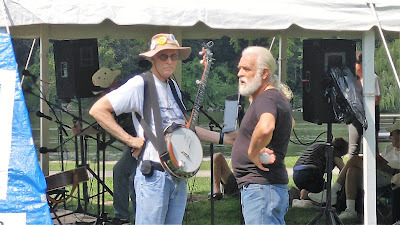 Oba William King performed "Signifying Monkey in Blue" at the Fox Valley Folk Music and Storytelling Festival on Sept. 5, 2016, at Island Park in Geneva. The Fox Valley Morris Dancers performed Sept. 5, 2016, at the Fox Valley Folk Music and Storytelling Festival at Island Park in Geneva. The honesty and passion that Carey Ott displays in his music is hard to match. 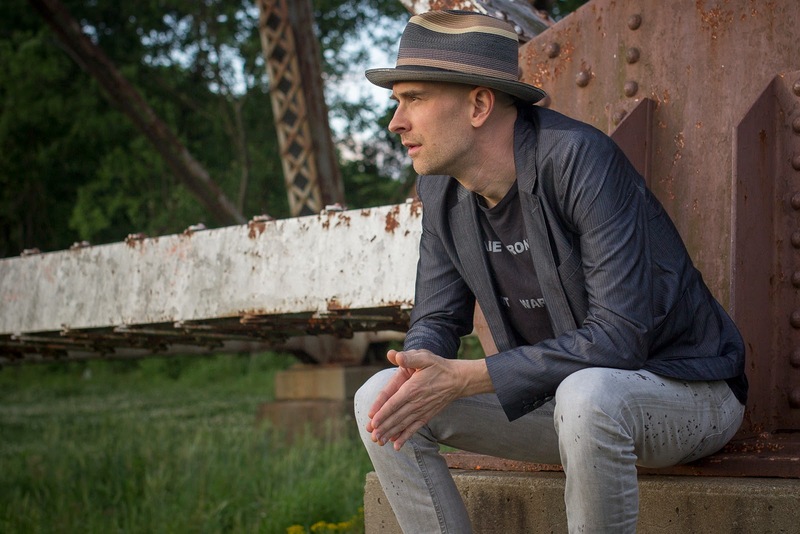 The former Chicago resident, who now calls Nashville home, will release a new album, "Nocona," on Sept. 9. To celebrate the release of the album, Ott will perform at 8 p.m. Sept. 3 at Martyrs,' 3855 N. Lincoln Ave., Chicago, and on Sept. 4 and at 4 p.m. City Winery Chicago on the Riverwalk, E. Upper Wacker Drive, Chicago. I had the chance to talk to Ott about the new album. Q: Great talking to you again. I think the last time I talked to you was when you had just released your solo album "Lucid Dream." Of course, you will be releasing your latest album, "Nocona," on Sept. 9. In sitting down to make the album, what were your goals and do you think you accomplished them? Hello again, thanks for doing this. My goal is always to make something timeless. I'm not a fashion designer. So, what's currently in vogue matters very little to me. While writing for myself and producing songs for others, I try to keep the songs and performances as honest and in the moment as possible. I like those happy accidents that occur. I try to leave them in, or even highlight them. I aim to keep it human. 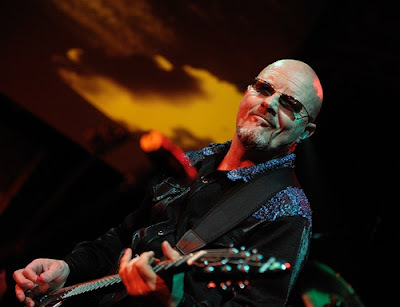 Q: I understand you wrote the song "Nocona" with fellow Nashville artist Ryan Culwell. How did that song come together? Do you think the both of you share a musical spirit? Yeah, Ryan is a true artist with bonus integrity. He's not gonna compromise that. I think we're both cut from the same cloth in that respect. We both came to Nashville from these small nowhere towns (Ryan from Perryton, Texas, me from Ottawa, Illinois) with these immensely unlikely dreams. And we both faced and still face a lot of the same struggles one encounters when trying to make a living from music. But we persevere and thrive. On the song "Nocona," Ryan wrote all those verses in like 15 minutes. I think Ryan was reading Raymond Carver at the time, so those verses get pretty bleak. The chorus I wanted to suggest something like "Hey, we're these resilient, amazing humans who don't give up, we're gonna make it somehow." Q: Will Kimbrough, Cage The Elephant co-founder Lincoln Parish, and Dualtone recording artist Rebecca Roubion are among those on the album. How did you hook up with them and what do you think they bring to the table? Will Kimbrough I met through Neilson Hubbard, who co-produced this record with me. Will played just about all the electric guitars on the record. He is so musical. He was tuning his guitars different to fit each song. Everything he does serves the songs. I've written and produced records with Lincoln Parish for the past year or so. We met through a mutual friend. We always had chemistry from the beginning. He's just like me and Ryan Culwell; lives and bleeds music. [He’s an] artist. We co-wrote "Through The Waves" for this new record and he played piano and guitar on that and "Cosmic Joke." I've been writing with Rebecca with for a couple years now. We wrote two songs for her latest record, "Sleepless Nights," produced by Lincoln Parish. You see how this stuff happens? The songs Rebecca and I co-wrote on there are called "Anywhere I Go" and "Living Proof." I'm proud of those songs. And Neilson Hubbard (my co-producer on "Nocona") mixed "Sleepless Nights," so it's a like a musical family down here. I love it. Q: You recently signed with IMAGEM, the world's largest independent music publisher. What drew you to the company in the first place and do you think you fit in well with the other artists on IMAGEM? I met with 4 or 5 different publishing companies and the IMAGEM guys in New York were the ones who were most confident and most sure that I was their guy. And having Mark Ronson on their roster, I figured, these guys are doing something right. I'm a lot like Mark Ronson, I think. I write, I do my artist thing, I make beats, sing, play guitar or bass on sessions, engineer/produce. IMAGEM seems to go for all-purpose folks like me. The writes they have set me up with have been stellar. I love these guys. Q: I understand that Gary Allan has recorded your song "The Hard Way" for an upcoming album. What do you think about his version of the song? I like his version. I met him a while back and we talked about that song, "The Hard Way." My hunch is that he's a true artist who has perhaps fallen into the trap of compromising a little too much with industry opinions. Sometimes you have to put your record out the way you want it and stop listening to all the outside voices. Of course, what the hell do I know? That's just what I do. I don't recommend it. Q: You've lived in Nashville for a few years now. What made you want to move to Nashville in the first place and how do you think it compares to the Chicago music scene? I've been here since 2005. I think the concentration of musical talent here is second to none. The writers, producers, mixers, engineers here are exceptional. I could probably throw a rock out my back door in East Nashville and hit an amazing home studio or some sick musician I never even knew existed. Q: What's next on the horizon for you? More music all the time. I'll be hitting the road to support "Nocona." I'm also producing a few projects right now. I'm really excited about Shelly Fairchild. She's an amazing country soul-singer from Mississippi who's gonna be opening up for Martina McBride on tour in the next couple weeks. Look out for her.